We provide creative and flexible capital – investing minority or majority equity, in full recapitalizations or growth equity structures. Our innovative deal structure allows founders to gain significant liquidity while maintaining voting control and maximizing ongoing equity ownership. We know how to avoid the pitfalls that come with accelerated growth. We add value by helping augment people, process and infrastructure in our companies. Our partners have over 80 years of combined experience investing in founder-led companies. We’ve seen it all investing together. We respect the passion and vision of our founders – we believe in a culture of collaboration and teamwork. The best results come from the concentrated efforts of experienced professionals. 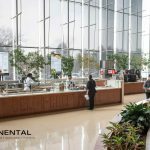 We focus our energy on executing a few great deals per year. We differentiate by giving founders greater control and more incentive equity. 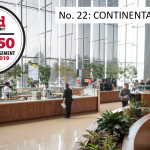 CONTINENTAL SERVICES is a leading food service provider in the midwest through its vending, markets, dining and catering solutions. COVALENT HEALTH is a provider of innovative logistics solutions to hospitals, payors, physicians and health systems. CENTRA INDUSTRIES is a leading manufacturer of complex, precision-machined metal components for aerospace industry. EPTAM PLASTICS is a manufacturer of close tolerance, precision-machined plastic components. THE EXECU|SEARCH GROUP is a leading provider of temporary staffing and permanent placement solutions. FLYING COLOURS CORP is a global leader in completions, refurbishments and maintenance for business aircraft. ONESOURCE DISTRIBUTORS is a premier electrical and industrial products distribution company in Southern California. REACH AIR MEDICAL is a leading provider of emergency air medical services in California, Oregon and Texas. RHYTHMLINK is a market leading designer and manufacturer of disposable neurodiagnostic devices and consumables. Speak to one of our team members.